Mountain rescuers were involved in three separate incidents in one afternoon where walkers got caught out by icy conditions on south Wales’s highest mountain. Brecon Mountain Rescue Team warned Pen y Fan and its neighbouring peak Corn Du have compacted ice on their paths. The mountains in the Brecon Beacons national park are attracting many visitors and, while the car parks from which walkers set off are free of snow and ice, freezing conditions mean the tops are in winter condition. 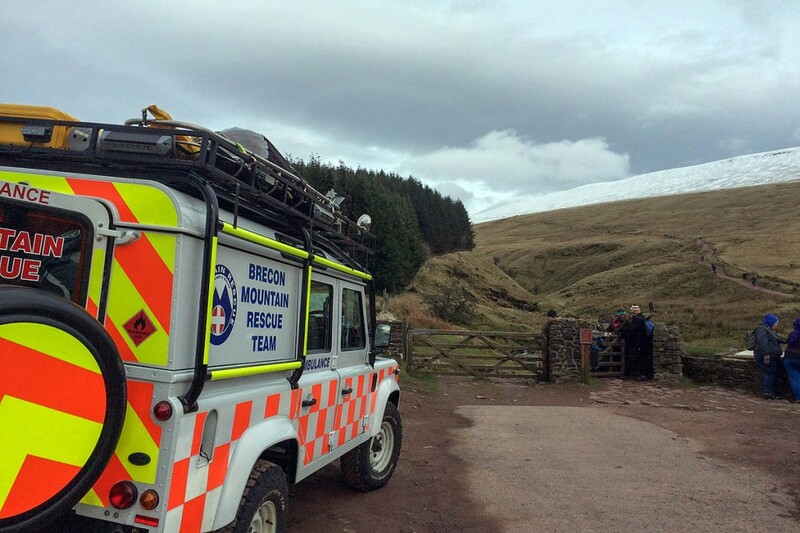 The team was called out on Tuesday to aid a woman who fell while coming down from Pen y Fan at lunchtime. Colleagues from the Central Beacons and Longtown teams joined the Brecon team in the rescue. A Brecon MRT spokesperson said: “The lady had fallen in snowy, icy conditions and sustained a lower leg injury. While rescuers were treating the woman, another casualty presented himself to them with a suspected broken arm, also sustained from a fall. “The gentleman’s arm was splinted then he was walked of the hill by a mountain rescuer,” the spokesperson said. “As the team were assisting the first casualty on to the stretcher another call was passed to them from Gwent Police. “A lady descending from Pen y Fan was reported to be unwell and in need of assistance. A party was dispatched and the lady, suffering from hypothermia, quickly located. The Brecon team warned hillgoers in the national park to be prepared for conditions on the mountains, which rise to a height of 886m (2,907ft). 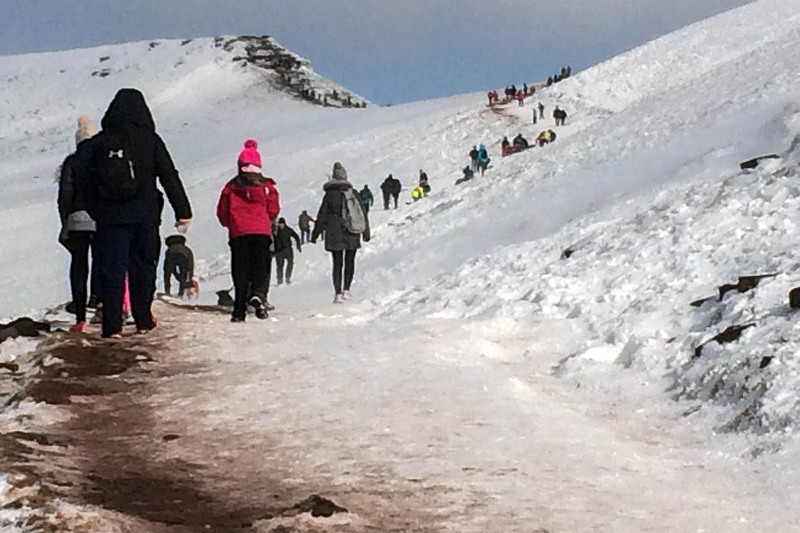 The spokesperson said: “As it is half-term the paths up to the twin summits of Pen y Fan and Corn Du are very busy and the sheer number of people compacting the remaining snow on the paths has caused them to become treacherously icy and dangerous. “The temperature on the hill is frequently falling into minus figures and falling further when windchill is taken into account. Pen y Fan probably needs a small visitor centre at the Pont ar Daf car park. There is plenty of traffic up that way, plenty of space for improved car parking. and lets face it, people do need a last minute place to grab a rain jacket, fleece, map, so why not?